Real Estate Buyers’ agents are few and far between in Australia. Most owners occupiers and investors remain unaware that there are specialist real estate professionals who are not interested in selling or leasing property because their only objectives are to make your experience a pleasurable one and to streamline your acquisition! 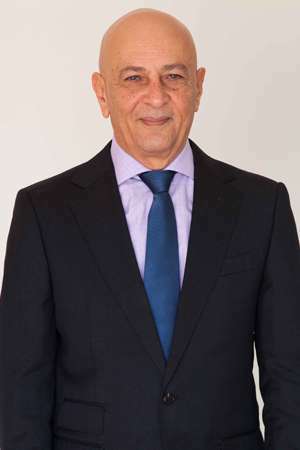 Fred Haggar is a principal buyers’ agent of Property Search 4U which was established in 2005 as an independent licensed buyers’ agent, acting exclusively for the buyer of residential or commercial property. With Fred and the team on your side, you are insulated from coercion by aggressive marketing and persuasive vendor’s agents, and protected from the frustration of having your precious time repeatedly wasted on endless unsuitable property inspections. Once briefed Fred and the team will locate, compare and evaluate all your options, then schedule and accompany you on inspections of suitable and affordable shortlisted properties in the locations you always desired to live or invest in. Fred provides professional advice on your best options, free from the costly excesses of enthusiasm, before backing this up with a comprehensive comparable market analysis on your selected new home or investment property. Fred’s understanding of the industry’s intricacies equates to invaluable professional resource. In his capacity as an independent Buyer’s agent, Fred will determine the most effective negotiations strategy for your property whilst protecting your anonymity, implementing the complete process to the successful acquisition on your behalf. With your own real estate negotiator, you will not pay more than fair market price, and only on the terms you desire. Ultimately, you are kept informed of your property search’s progress, confident that your interests and your interests alone are professionally and exclusively represented. Fred recognises the importance of client service particularly as his business is built upon client loyalty, endorsements and referrals. Since 2007, Property Search 4U has been awarded the highest customer satisfaction accolade averaging 99% satisfaction rate by the Australian Achiever Awards – Real Estate Services category. Australian Achiever Awards are presented annually to businesses that practice exceptional customer service, recognising enterprises with customer satisfaction levels of 80% or more. Why don’t you contact us for a chat? Her skill finding and purchasing property on behalf of her clients, combined with her commitment and proactive attention to detail, have resulted in maintenance of a high level of both success and satisfaction for her client base. Michele recognises the importance of client service particularly as her business is built upon client loyalty, endorsements and referrals. Property Search 4U has been awarded the highest industry accolade in the Real Estate Services category – NSW within the Australian Achiever Awards, as the winner in 2011, 2013 and again in 2015. The Team at Property Search 4U can co-ordinate the entire process, conduct anonymous negotiations on property already identified or simply bid at auction on your behalf. Their professional guidance will ensure you avoid both anxiety and costly pitfalls in relation to the purchase of your next property and that it will be completed promptly and always on your terms. Continual research & qualified market analysis is essential to your success and what we at Property Search 4U do for you every day.